It can be really annoying having obscure types of files on our computer and not knowing what application to associate them with. 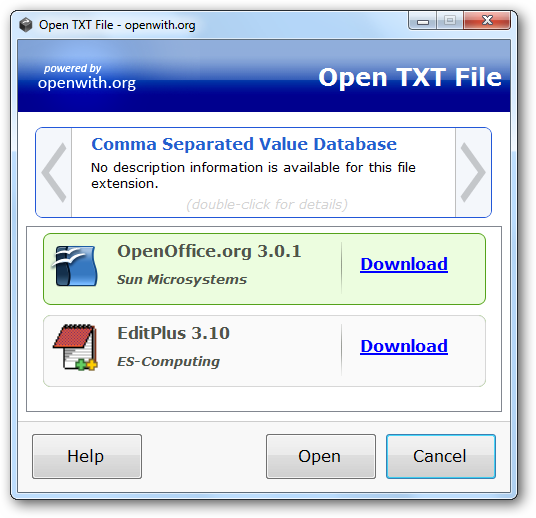 The OpenWith.org Desktop Tool identifies the files and locates free programs to open them. 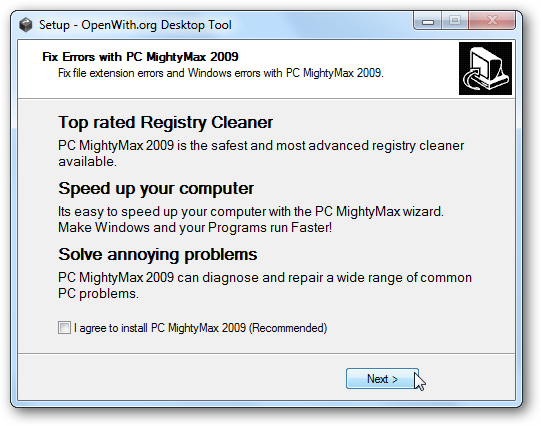 Installation is basic following the install wizard but they try to sneak a program called PC Mighty Max (registry cleaning program) onto your system. Make sure to uncheck the box next to the agreement unless you want to try it out. 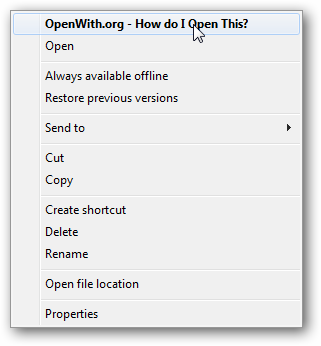 After installed, Right-click on a file you’re not sure how to open and select OpenWith.org – How do I Open This from the context menu. It will search for a suitable program and list them with a download link to download that application. The download link usually points directly to the executable to download where you get the following screens. If it is not able to find a suitable program from the OpenWith.org database you’re presented with options to search on the net. Not every result produced a freeware application but there was at least a trial period or shareware solution, enough to get the document open. This is a cool lightweight program that you may not have to use a lot, but is certainly handy when you do.